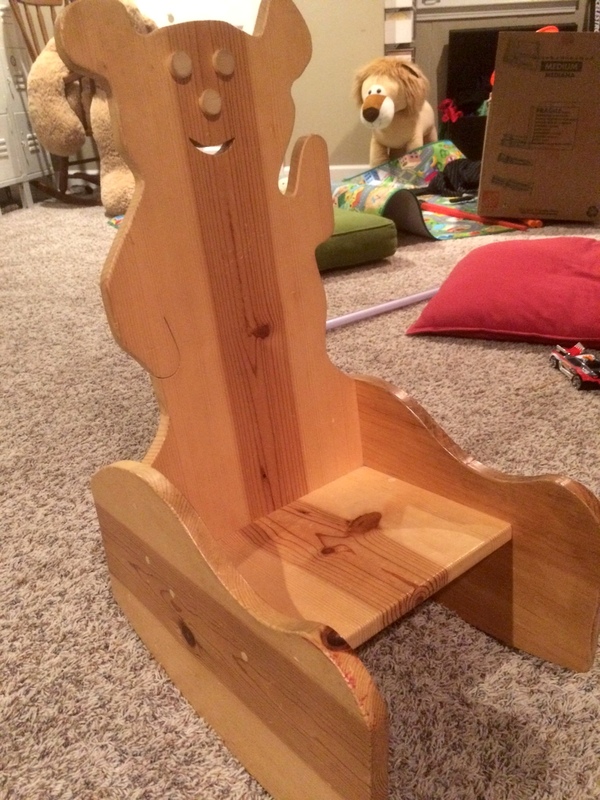 I made this Bear Chair for my newborn grandson on his homecoming from the hospital.We had one of these for our own children years before that I built from one I had seen in a gift shop in the mountains. A 1x12x8 pine board is all you need. I made patterns for the pieces from 1/4″ luan and then used a router with a pattern bit to cut them out. A piece of dowel rod works for the eyes. Glue, construction screws, and polyurethane complete the project. It has survived lots of use and abuse!